Talib Kweli AND Dead P-r-e-z on Drink Champs… MAKE SOME NOISE! They have been making noise in the political discourse and conscious rap lanes. Talib Kweli & Dead Prez came through for Happy Hour with the #DrinkChamps N.O.R.E. 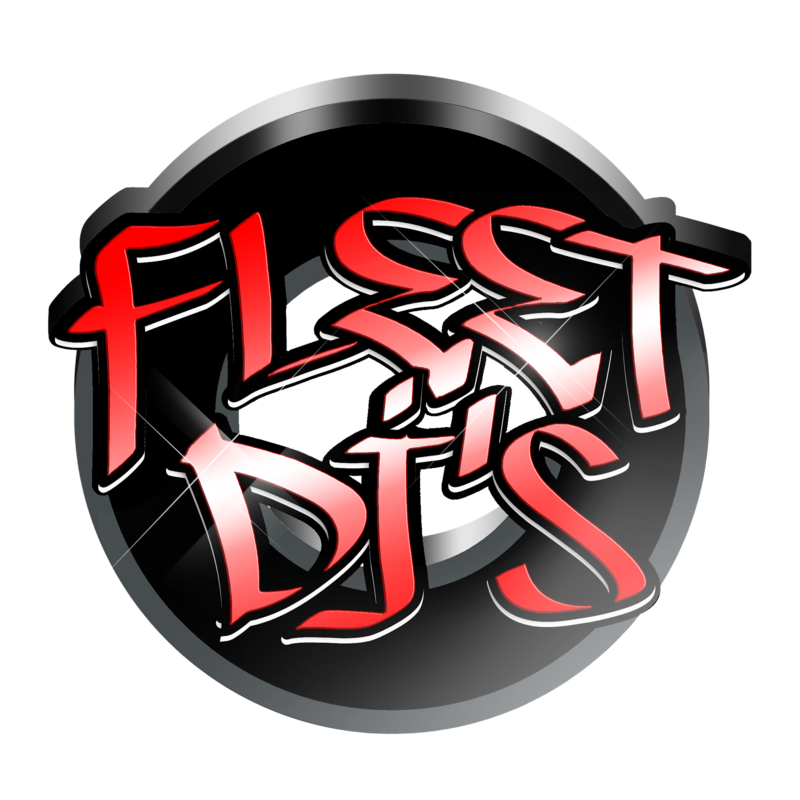 & DJ EFN. During this 2 hour session, they discuss “conscious rap,” Hip-Hop going corporate, Mos Def being deported, the state of their longtime friend Kanye West, book trading & more. We have NOTHING to lose! 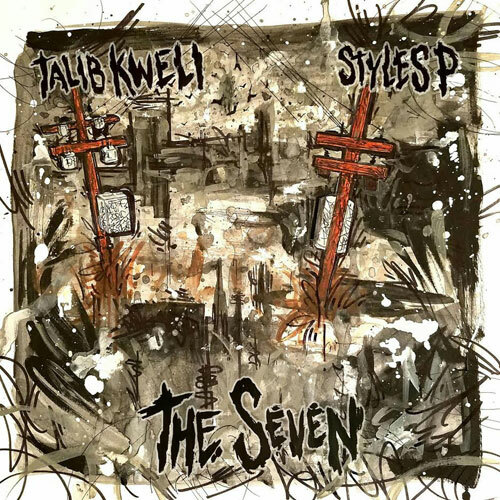 Kweli the revolutionary emcee with another lyrical assault. And yeah, he brought a strike force – Jay Elect and Yummy. Relentless! So dope. Plus a dope visual treatment. Off that “Radio Silence” he dropped. Well speak on it, Talib Kweli! “She’s My Hero”… “Heads Up Eyes Open” and now, we look to “Traveling Light” (featuring Anderson .Paak). Yep. Plenty of proof. Proof positive… that the latest Kweli plate (“Radio Silence”) is stacked up deep with dopeness! Banging azz music by Kay, .Paak, and Kweli without a doubt. But the “Real N!gga PSA” that Dave Chappelle put in here at the end though. Son. LIFE!!!!!! Hm. 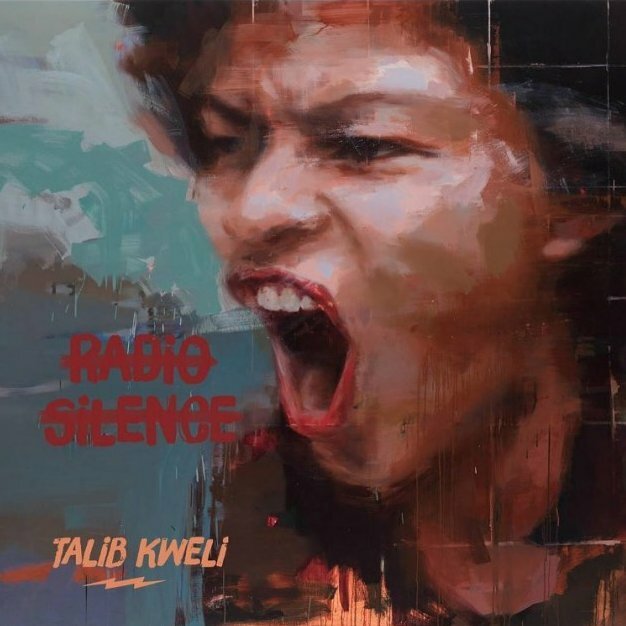 Something about Kweli’s artwork for this… an abstract rendering of a screaming person we cannot hear. “Radio Silence” – finished, done, dope. Boom! Daaaayummm! Shots were heard ’round the Hip-Hop world when Eminem took multiple shots at President Trump and whoever follows him in his BET 2017 freestyle. Check out responses from Fat Joe and Talib Kweli. Take it to the top. There’s where we are with it. Rick Ross is a Bawse fa’sho… yet he & Yummy felt compelled to answer Kweli’s call to jump on this choral vehicle (“Heads Up Eyes Open”) and ride it; to go up on this Talib trip. And the results feel spiritual. Good music for ya. Yeah, that is where we are with it indeed! ‘Mommy, you’re free now.” That’s the quotable. Kweli buried it in a flurry of meaningful lines and rhymes, but that’s likely the feeling teen Bresha Meadows had when she shot and killed her abusive father. Talib Kweli put this single out in her tribute. Communicating that, despite what you feel about the kid taking her parent’s life, kid’s ought not even be made to feel like that’s a decision that has to be made. Deep. They gave you a taste (“Last Ones”) and now they fixed you a plate. Got “The Seven” sampler below for you to listen. Link down there for you. Kweli and The Ghost did their part – keeping it Hip-Hop. Now, the rest is on you. Way to stay on it fellas. Visuals to follow up the audio we dropped on here when Kweli and SP put out the “Last Ones” single. Your hear that work! Recognize a Don when he passing… Kweli said it on here. But you will cosign that sentiment for him and SP when you rock out to this “Last Ones” jawn. 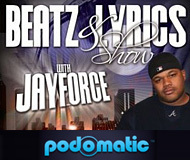 Beats and lyrics on deck! Produced by Antoine “Amadeus” Thompson. Talib Kweli tells Vlad that Lil Yachty, 21 Savage, Ugly God and the other young’uns in the rap game have something to teach the rap vets. No, helllll nooo; not about putting out good music. Rather, they know how to get a buzz that gets heat for an artist without paying playing the radio game. And that game has gotten even more expensive and more ‘in the shadows’ nowadays. F*ck radio…don’t need no radio… [and] F*CK Gene Simmons! According to Talib Kweli (above), President Obama got his favorite artists together in a room to share ideas on and declare his desire for criminal justice reform to be part of his administration’s legacy… and ask for their inputs & help. Talk about a work-play moment! Imagine a concert featuring Talib, A$AP Rocky, J. Cole, Busta Rhymes, Pusha T and others? Why not? It’s the White House! But nah, country first. Still sounds like a cool meet-up. 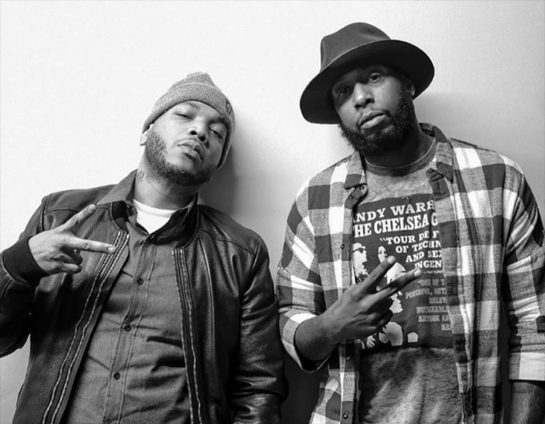 Kweli also speaks on his next project (with Styles P), Yasiin Bey, the experience of working with Q-Tip and getting on the A Tribe Called Quest album, Jay Electronica and more. 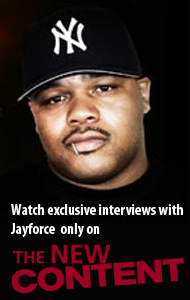 DOPE interview! WOOOOO! Aloe Blacc put it down on this one, reminding you that he is way more than a jingle singer for M&Ms. Haaa! But seriously, Talib with this “Every Ghetto Pt 2” (a Nottz-produced remix of the “Indie 500” original). Niiiiice. Blacc… Kweli… Problem! Ah, dig the intro to this (meant to say that before)…Now, this great late night audio escape mixtape is different from “The Insomniac #2” (which we posted on here earlier). The homie DJ Yogi calls this one “The Insomniac SHOW #2”… a continuation of a series (hopefully) starting with “The Insomniac SHOW #1” (which we posted on here days ago). Pay attention. Keep up. And if you’re up late, cue this mixtape curate up; featuring work from Fetty Wap (yup, you’ll dig what Yogi dug), BoneBreaker Jones, Reek Da Villian, Talib Kweli, T.I., J. Keys & Robyn Hood, Phil Da Agony and more. All lives will never matter until Black Lives Matter. ‘Calling out the violence of the racist police,’ is what Samuel L. Jackson is singing and what Sticky Fingaz, Talib Kweli, Mad Lion, Brother J and KRS-ONE saying with the rhymes in “I Can’t Breathe.” Mad Lion brought the beat. And check out KRS with the shutdown verse. Revolution! How you gone bang with the Clubber Lang of gutta slang? Bars! Bodied! Credit due to these dudes whose demand to these others is simply “Pay Ya Dues.” Beat by Eric G. Problem & Bad Lucc on the ride-along. Get this and more freshness off that “Indie 500” collabo album we posted from Talib Kweli & 9th Wonder. Kendra Ross chanting that “Which Side Are You On” is like her taking us all to the church of Talib Kweli; special guest Tef Poe and music director Nottz on the beat. Stirring audio and visual off the “Indie 500” project Kweli and 9th Wonder have out now. Don’t be surprised if you get more than a little fired up after experiencing this.